Save money on your purchases when you choose to have your Mdrive product(s) delivered through our Auto Delivery option. Q: What is the Auto Delivery program and how does it work? A: The DreamBrands Auto Delivery program is our convenient replenishment program that ensures that you always have your favorite Mdrive products on hand, at a discount with free shipping*. What’s great about this program is that you won’t have to pay for shipping on your orders and you will be able to lock in low prices*. Other discounts will not apply to the Auto Delivery price. The shipping schedule is set to default to ship in 1 or 3 month increments. After placing an Auto Delivery order, you don't need to reorder the item again. You'll be billed for your first shipment after payment has been processed. Subsequent shipments will be billed at the locked-in discounted price and automatically sent on a regular shipping schedule (for example, approximately every 30 or 90 days). Delivery and billing are repeated until you cancel your Auto Delivery. You can cancel your Auto Delivery at any time. A: To begin receiving Auto Delivery shipments, first click the Auto Delivery check box on the product page for the item you want to purchase. If you don’t see the check box, your product is not eligible for Auto Delivery. Click on “Add to Cart”. Then, you must follow the instructions on the page to complete your checkout. When you choose the Auto Delivery option while placing an order for an eligible product, you are automatically enrolled in the program for that particular product. 2. Look at the Supplement Facts panel to determine how many servings per container the supplement provides. 3. Determine how many times, on average, you take the product daily. 4. Divide the number of servings per container by how many times you take the product daily. Your result indicates how often you'll need a new supply! 5. Based upon your results, choose how often you would like subsequent delivery (every 30 or 90 days). 6. 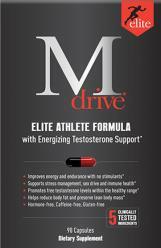 Never run out of your favorite Mdrive supplements again! Q: How Do I Change My Auto Delivery Order? A: You are able to add, remove or make updates to products from your order while you shop or before you check out. •	In cart: You can change the quantity of products being ordered. •	Before order confirmation: Prior to check out, you can review your purchases and make changes before confirming your order. •	You may reply to any receipt or shipment email you have received to make changes to your auto-delivery. 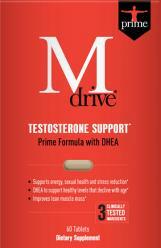 You can also send an email to cs@mdriveformen.com to make a change to your auto-delivery. •	You can also call 1-888-300-9181 on Monday-Friday, 10am-5pm Arizona time to make changes to your auto-delivery. Q:	How Do I Cancel My Participation in the Auto Delivery Service? Q: How do I return an Auto-Delivery item? Once product is received, we will issue a full refund to your payment method less shipping costs. Returns take about 2-3 business days to process after the product has been received. The refund will be credited to your original method of payment. Q:	Can I restart or reinstate an Auto-Delivery plan I previously canceled? Welcome to the website of DreamBrands, Inc. (“DreamBrands”, “Company”, “we” or “us”). The following terms and conditions (together with any documents referred to in them) (the “Terms and Conditions”) apply to your use of dreambrands.com, including any content, functionality and services offered on or through dreambrands.com (the “Website”), whether as a guest or as a registered user, and pertaining to our Auto Delivery program. Customer agrees to charges for products based on the frequency. Auto Delivery orders will be in effect from the date the first order is processed, unless canceled. Unless modified by the customer, the credit card used to set up the initial Auto Delivery order will be charged for subsequent orders. By placing an Auto Delivery order, you authorize us to charge your credit card for subsequent Auto Delivery orders from the date the first order is processed unless you cancel your Auto Delivery shipments earlier. Credit cards and debit cards will be the only valid tender types accepted for payment on Auto Delivery orders. Gift certificates, E-Gift certificates, gift cards, checks, Bill Me Later and PayPal will not be accepted. Recurring order pricing will reflect the price of the item excluding any coupons, sales and promotional pricing. DreamBrands will notify the customer prior to the first automatic order being fulfilled (3 days in advance of ship date). DreamBrands reserves the right to cancel any recurring orders due to incorrect Auto Delivery product pricing. You will be able to modify or cancel your Auto Delivery shipments at any time. You are responsible for payment on all merchandise shipped prior to cancellation request. 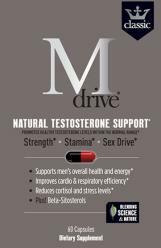 You can cancel the Auto Delivery program at any time by emailing us at cs@mdriveformen.com or by calling us at 1-888-300-9181 on Monday-Friday, 10am-5pm Arizona time. Canceling an order will stop all future shipments of that particular product. To resume receiving a product using the Auto Delivery service, you need to contact us or place a new order. Shipping restrictions may apply. Auto Delivery is not available for all international orders. If an Auto Delivery product is temporarily out of stock, you will receive an email notification. If the order is not canceled, the product will be shipped when it is in stock. Similarly, if an Auto Delivery product is discontinued, you will be notified by email and your Auto Delivery shipments canceled if this is the only product you have set up for Auto Delivery. DreamBrands reserves the right to update or revise these Terms & Conditions at any time. If DreamBrands makes material changes to these Terms & Conditions, we will provide you notice by posting a notice on this website for 30 days. If you do not accept these Auto Delivery Terms & Conditions or any changes proposed by us, your only remedy is to cancel your registration for the Auto Delivery program. You acknowledge that DreamBrands may elect in its discretion to discontinue the Auto Delivery program at any time. 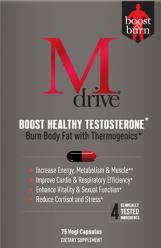 Any statements on this site or any materials or supplements distributed or sold by www.DreamBrands.com and www.Mdriveformen.com have not been evaluated by the Food and Drug Administration. This product is not intended to diagnose, treat, cure or prevent any disease. If you are pregnant, nursing, taking medication, or have any medical condition - we suggest consulting with a physician before using any of our products. The results on all products are not typical and not everyone will experience these results. This Terms of Service ("TOS") is a legally binding agreement made by and between DreamBrands Inc. ("we" or "us") and you, personally and, if applicable, on behalf of the entity for whom you are using this web site (collectively, "you"). This TOS governs your use of the DreamBrands.com web site ("Web Site") and the services we offer on the Web Site ("Services"), so please read it carefully. 4. Using the Web Site. (a) Eligibility. Except as expressly provided below, Services may only be used by, and membership is limited to, individuals who can form legally binding contracts under applicable law. Without limitation, minors are prohibited from becoming members and, except as specifically provided below, using fee-based Services. Membership is defined by engaging in a purchase agreement with our DreamBrands wherein you, the consumer purchase one of the products found on the Web Site. (d) Prohibited Conduct. In your use of the Web Site and the Services, you may not: (i) infringe any patent, trademark, trade secret, copyright, right of publicity or other right of any party; (ii) defame, abuse, harass, stalk any individual, or disrupt or interfere with the security or use of the Services, the Web Site or any web sites linked to the Web Site; (iii) interfere with or damage the Web Site or Services, including, without limitation, through the use of viruses, cancel bots, Trojan horses, harmful code, flood pings, denial of service attacks, packet or IP spoofing, forged routing or electronic mail address information or similar methods or technology; (iv) attempt to use another user's account, impersonate another person or entity, misrepresent your affiliation with a person or entity, including (without limitation) the Website or create or use a false identity; (v) attempt to obtain unauthorized access to the Web Site or portions of the Web Site that are restricted from general access; (vi) engage, directly or indirectly, in transmission of "spam," chain letters, junk mail or any other type of unsolicited solicitation; (vii) collect, manually or through an automatic process, information about other users without their express consent or other information relating to the Web Site or the Services; (viii) use any meta tags or any other "hidden text" utilizing the DreamBrands name, trademarks, or product names; (ix) advertise, offer to sell, or sell any goods or services, except as expressly permitted by the Website; (x) engage in any activity that interferes with any third party's ability to use or enjoy the Web Site or Services; or (xi) assist any third party in engaging in any activity prohibited by this TOS. If you live in Arizona and you purchase any eligible products available on the Web Site ("Products"), you will be responsible for paying any applicable Arizona sales tax indicated on the Web Site. We reserve the right, but undertake no obligation, to actively report and prosecute actual and suspected credit card fraud, or any other fraud on the company. We may, in our discretion, require further authorization from you such as a telephone confirmation of your order and other information. We reserve the right to cancel, delay, refuse to ship, or recall from the shipper any order if fraud is suspected. We capture certain information during the order process, including time, date, IP address, and other information that will be used to locate and identify individuals committing fraud. If any Web Site order is suspected to be fraudulent, we reserve the right, but undertake no obligation, to submit all records, with or without a subpoena, to all law enforcement agencies and to the credit card company for fraud investigation. We reserve the right to cooperate with authorities to prosecute offenders to the fullest extent of the law. You agree to defend, indemnify and hold the Web Site, and its subsidiaries, affiliates, and their directors, officers, agents, members, shareholders, co-branders or other partners, employees, and Advertising Partners harmless from any liabilities, losses, actions, damages, claims or demands, including reasonable attorneys' fees, costs and expenses, made by any third party directly or indirectly relating to or arising out of (a) content you provide to the Web Site or otherwise transmit or obtain through the Service, (b) your use of the Service, (c) your connection to the Service, (d) your violation of this Agreement, (e) your violation of any rights of another or (f) your failure to perform your obligations hereunder. If you are obligated to provide indemnification pursuant to this provision, we may, in our sole and absolute discretion, control the disposition of any Claim at your sole cost and expense. Without limitation of the foregoing, you may not settle, compromise or in any other manner dispose of any Claim without our consent. (a) DISCLAIMER OF WARRANTIES. WE PROVIDE THE WEB SITE, THE PRODUCTS, AND SERVICES ON AN "AS IS" AND "AS AVAILABLE" BASIS. WE DO NOT REPRESENT OR WARRANT THAT THE PRODUCTS, THE WEB SITE, THE SERVICES, ITS USE, ANY INFORMATION ON IT: (I) WILL BE UNINTERRUPTED OR SECURE, (II) WILL BE FREE OF DEFECTS, INACCURACIES OR ERRORS, (III) WILL MEET YOUR REQUIREMENTS, OR (IV) WILL OPERATE IN THE CONFIGURATION OR WITH OTHER HARDWARE OR SOFTWARE YOU USE. WE MAKE NO WARRANTIES OTHER THAN THOSE MADE EXPRESSLY IN THIS TOS, AND HEREBY DISCLAIM ANY AND ALL IMPLIED WARRANTIES, INCLUDING WITHOUT LIMITATION, WARRANTIES OF FOR A PARTICULAR PURPOSE, MERCHANTABILITY AND NON-INFRINGEMENT. 12. Domestic Use; Export Restriction. All disputes arising out of or relating to this TOS (including its formation, performance or alleged breach) or your use of the Web Site will be exclusively resolved under confidential binding arbitration held in Phoenix, Arizona before and in accordance with the Rules of the American Arbitration Association. The arbitrator's award will be binding and may be entered as a judgment in any court of competent jurisdiction. To the fullest extent permitted by applicable law, no arbitration under this TOS will be joined to an arbitration involving any other party subject to this TOS, whether through class arbitration proceedings or otherwise. Notwithstanding the foregoing, we will have the right to seek injunctive or other equitable relief in state or federal court located in Phoenix, Arizona to enforce this TOS or prevent an infringement of a third party's rights. In the event equitable relief is sought, each party hereby irrevocably submits to the personal jurisdiction of such court. 14. WAIVER OF CLASS ACTION RIGHTS. 16. Modification of Terms of Service. We reserve the right to change or modify these Terms and Conditions at any time and your continued use of this site will be conditioned upon the Terms and Conditions in force at the time of your use. You can always check the most current version of the Terms and Conditions at this page. This TOS will be binding upon each party hereto and its successors and permitted assigns, and governed by and construed in accordance with the laws of the State of Arizona without regard for conflict of law principles. This TOS and all of your rights and obligations under them may not be assignable or transferable by you without our prior written consent. No failure or delay by a party in exercising any right, power or privilege under this TOS will operate as a waiver thereof, nor will any single or partial exercise of any right, power or privilege preclude any other or further exercise thereof or the exercise of any other right, power, or privilege under this TOS. You are an independent contractor, and no agency, partnership, joint venture, employee-employer relationship is intended or created by this TOS. The invalidity or unenforceability of any provision of this TOS will not affect the validity or enforceability of any other provision of this TOS, all of which will remain in full force and effect.